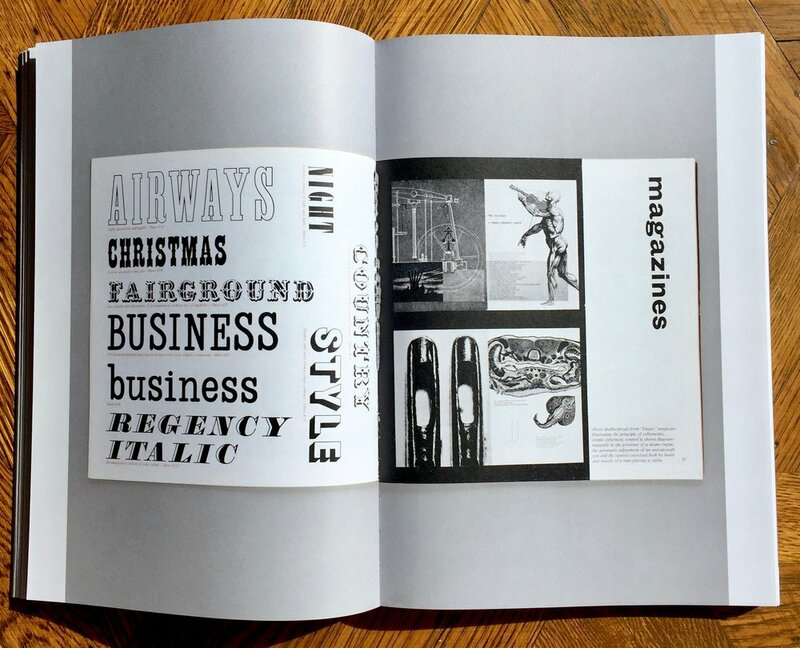 Letraset The DIY Typography Revolution from Unit Editions is a loving exploration of the impact that Letraset had on graphic design through the memories and experiences of designers. 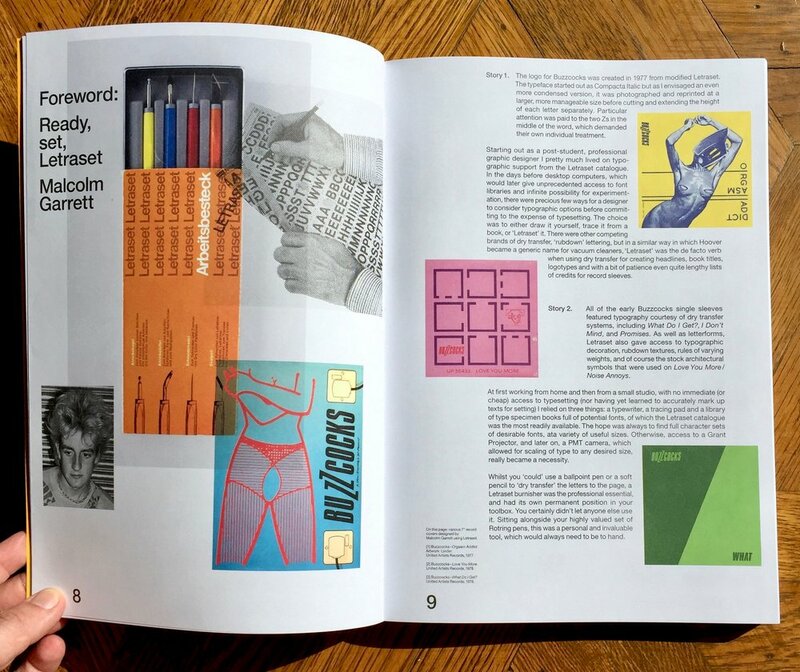 The selection of designers is great, includes Andy Stevens (the person who first showed me Edward Tufte's work when I was a student back in the '90s) , Malcolm Garrett (the graphic design legend), Aaron Marcus (whose brilliant work can be found at The Letterform Archive) and even Mr Bingo! 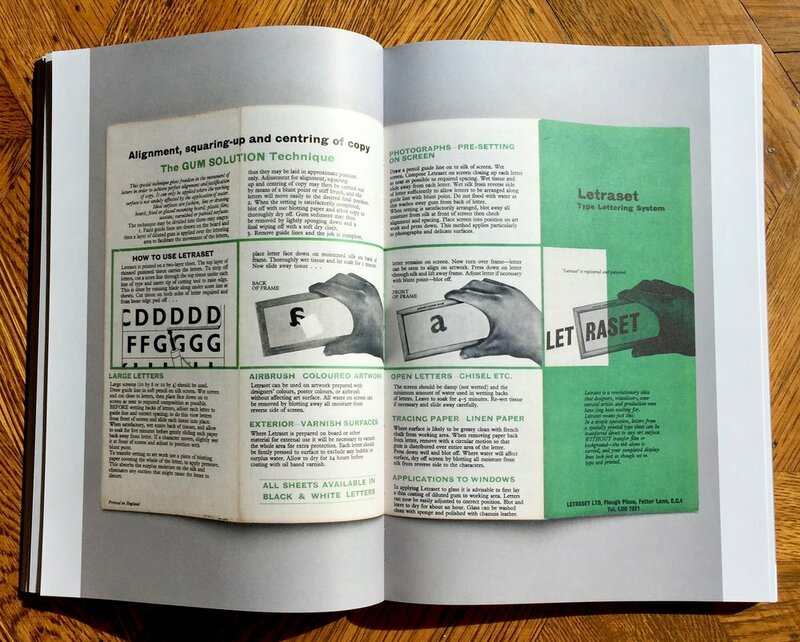 As a design student in the late 80s and early 90s I was on the cusp of the digital switchover and the "desktop publishing revolution" but Mac access was rare (initially) and thankfully courses concentrated on the traditional skills. 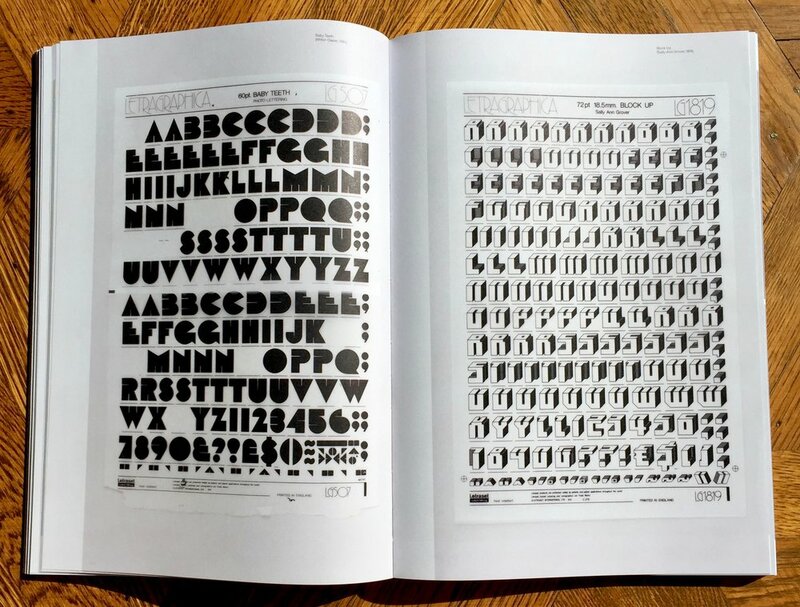 I played with Letraset and on my BTEC in Graphic Design (pre degree) where we were even given a Letraset catalogue as part of our 'design kit'. 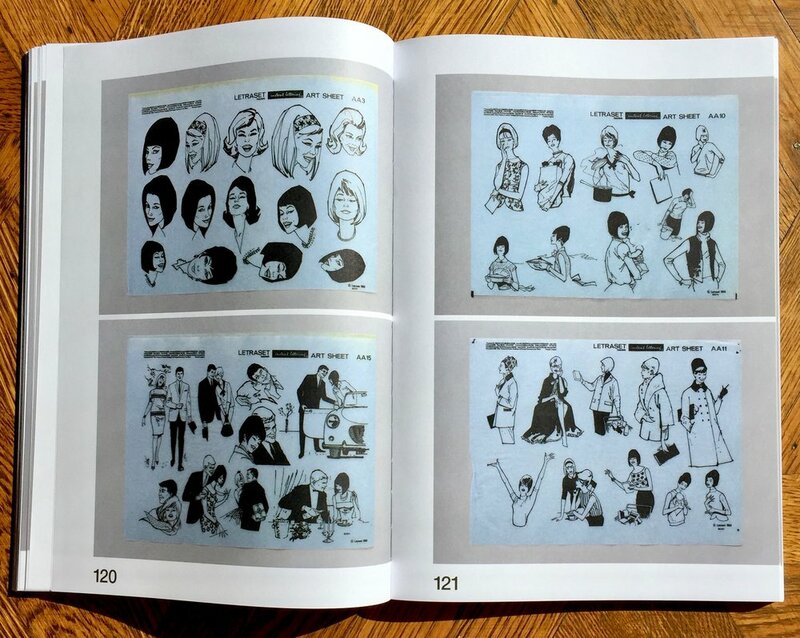 That kit had all the essentials: Derwent pencils, Rotring pens, a type scale (flimsy plastic version), scalpel and blades, gouache for flat colours, magic markers, type specimens for copy fitting and the English version of the Letraset catalogue below. The thing is, as a lowly student Letraset was really expensive. When I used it, I'd usually been given it or rescued it from the few profession designers I knew (and never a full sheet). So what I (and others on my course) tended to do was hand letter the type I needed. Most of it drawn straight from the Letraset catalogue; photocopy, cut, paste, then blown up and trace by hand on the Grant enlarger - what I'd have given for Adobe Illustrator back then. Despite that I loved playing with Letraset (when I could get it) and still do. There's something wonderful about dry rubdown and the delicate physicality of the type. It even has this fabulous fold out timeline. 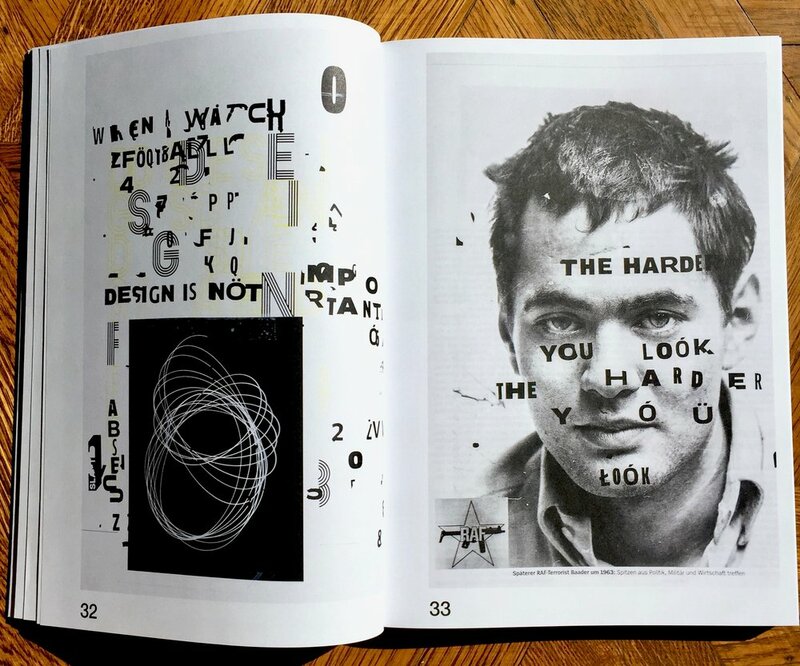 And if you see some Letraset or dry rubdown type out there, grab that, some old magazines, some scissors and glue, then spend an afternoon embracing your inner fanzine writer for some DIY layouts.